The number one question most mums are asked when they have a baby is "is s/he a good sleeper?". I usually say yes because Bobbin sleeps like a baby. She wakes a few times a night to feed, and when I hear her stirring I pop her in bed with us and she feeds to sleep (oh, my!). And after nights when she has woken six times because she is growing like a weed, I still say yes, because she's a baby and that is how babies sleep. Though I will admit to saying it less enthusiastically on those mornings. We've been road (bed) testing the Joey Pouch and the Joey Swag from Australian owned and operated company, Bubbaroo, over the past few months. Bobbin started out in the cotton waffle (mmmmm, waffles) Joey Pouch and I really liked it because it let her legs move which is really important for clicky, developing hips. Whilst we didn't need to brace Bobbin's clicky hips, the Joey Pouch is the best swaddle for a babies' hips because it allows the natural frog leg position and is roomy enough to fit in baby and brace if needed. I didn't even know that tight swaddling can lead to hip problems until Bobbin was being checked out at the hospital. Cue enormous amounts of mother guilt for not knowing and wrapping Tricky up in a straightjacket for his first six weeks. Oops. Bobbin preferred her arms held a smidge tighter when she was very new so she actually wasn't a fan of the pouch at first. She liked it more as time went on and she did end up sleeping in it right before she started rolling - when you can't use a swaddle any more. Typical! 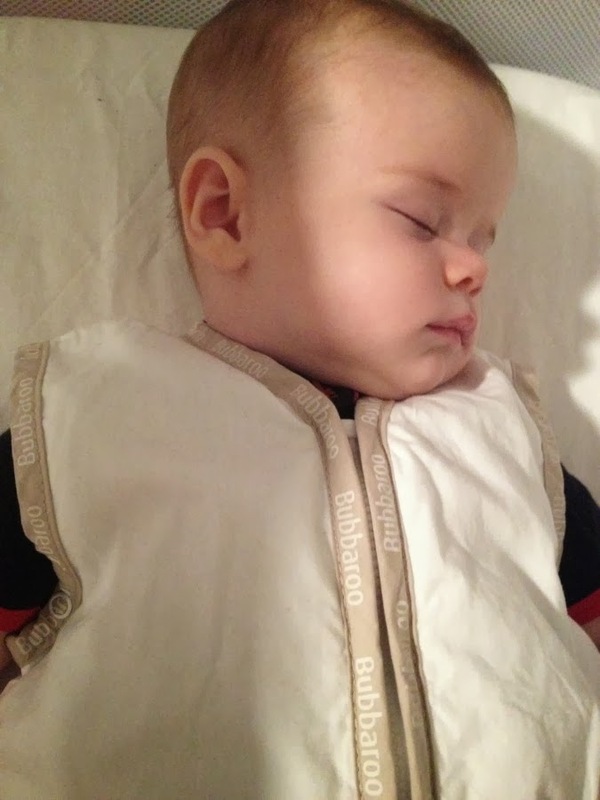 She graduated to the Joey Swag, a baby sleeping bag that won gold in the 2013 Mother & Baby magazine awards. Since it was a graduation, there was a ceremony with mortarboards and certificates. No, not really. By this stage she was wanting to fall to sleep with her arm over her eyes (the cutest!) so having them out was a must. The swag is lovely and we've been using it a lot because I've got another kicker on my hands. The moment a sheet touches her, up go the legs and within seconds it's gone. I may or may not put her in the sleeping bag and go "AHA! Try and kick that off, sucker!!". Ahem. I've had sleeping bags before but I've never had one with the seatbelt hole to allow you to strap them in safely when they're asleep - super handy! Nor have I had one with the double ended zip to allow easy nappy changes - super duper handy! The Newborn Pack contains the Joey Swag and the Joey Pouch and retails for $99.95 - a 20% saving compared to buying them separately. I have three $99.95 vouchers to use online at Bubbaroo - so you can buy the Newborn Pack or use it toward something else in store if you're past the newborn stage (well you're past the newborn stage, but your baby, youknowwhatimean)! To win, tell me below what is the best thing to do while your baby sleeps in their Bubbaroo? If you don't have Facebook you can leave your answer as a comment, but please make sure you leave your email address so I can contact you.